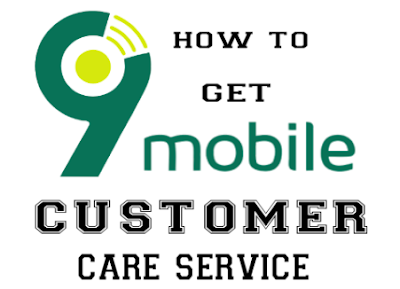 Are you a 9mobile user looking for a way to contact 9mobile Customer Care to lay a complain. I have got some easy channel for you to use. This is Etisalat Nigeria Customer Care Line. The only way people contact 9mobile Customer Care service is through their phone number. But I will be showing you various ways to contact them very fast. You don’t have to clue up with your phone on the air waiting for them to pick your call. I will show you how to contact 9mobile service to lie you complain and get solution very fast. Their service is always available 24 hours; be it public holidays and weekend. From experience using the social channel is the fastest means of contacting mobile services. With this channel you can get answers to your questions fast. The following are available channels that someone can use to reach 9mobile customer service center. Actually this is the best way to reach them. If you want fast contact use this medium. If you can browse and locate their website then this channel is for you. Then click on the live button on the bottom right corner of the page. Was the article helpful? Yea it should be. I know now it should be easier for you to contact 9mobile Customer Care. Etisalat Nigeria Customer Care Line. Please use the social media platform to share to friends.